You brush and floss religiously, so you are doing everything you can to combat oral bacteria, right? Wrong! If you fail to brush your tongue, you could be missing the mark when it comes to your oral hygiene. Your tongue is covered in bacteria, and the problems that may exist from failing to brush it extend much further than simply bad breath. A buildup of bacteria isn't just bad for your tongue, but it can also spread to your gums. This can cause gingivitis and other forms of periodontal disease, resulting inflamed, red gums. In the most severe cases, the gums may start to pull away from your teeth, leading to infected pockets and possible tooth loss. Plus, gum disease is connected to a host of health problems, increasing your risk of stroke and heart attack. If you fail to brush your tongue, you'll allow a film of bacteria, dead skin cells, and food to coat the surfaces of your taste buds. This can impair your sense of taste, altering the effects of some of your favorite foods on your palette. When the biofilm is removed, your taste buds should return to their normal function. 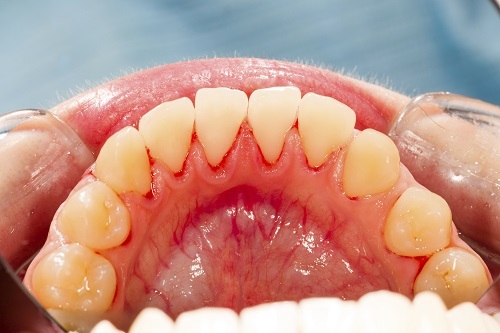 Oral thrush is a yeast infection of the mouth that can result from failure to brush your tongue. When naturally occurring yeast are allowed to grow out of control, you may see white patches on your tongue. For many people, this is the source of considerable embarrassment until treated. While antifungal medications can cure the problem, simply brushing your tongue could prevent it. Hopefully, a better understanding of the importance of brushing your tongue will encourage you to adopt this practice. When proper oral care is combined with regular dental cleanings, you'll enjoy improved oral health. Call us today to set up your next appointment.